A benchmark is geographic point whose elevation has been measured and recorded to a high level of accuracy. The height of a benchmark is calculated relative to the heights of nearby benchmarks in a network extending from a fundamental benchmark (a point which records a height to extreme accuracy.) Benchmarks are used by such professionals as surveyors, engineers, and map makers. 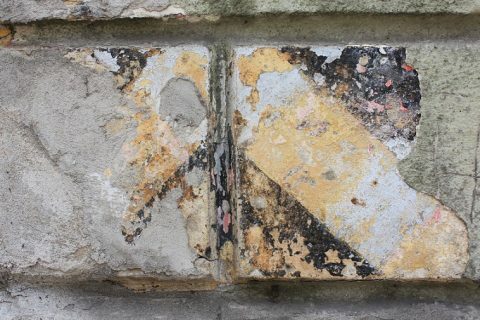 Lviv’s fundamental benchmark was installed on the wall of the main building of the Lviv Polytechnic in 1880 by famous astronomical surveyor, rector of the Lviv Polytechnic, Professor Dominik Zbrozhek. The height was determined by barometric surveying from the level of the Adriatic Sea with the help of a highly skilled international commission. Here is the first benchmark with a plaque in honor of Dominik Zbrozhek. Benchmarks were often located on churches and other public buildings. 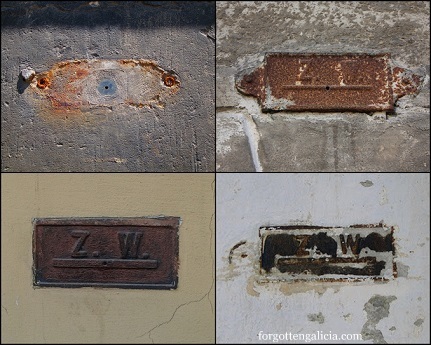 Only a handful of the original 18 benchmarks are still visible in Lviv’s landscape. The rest are either under plaster or have been removed. 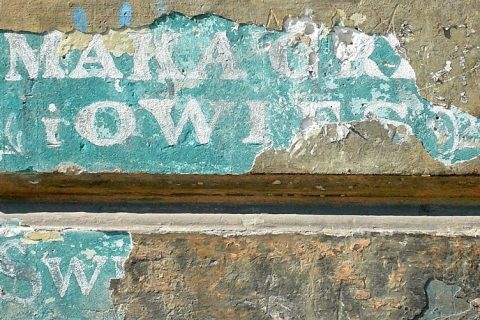 I have found a few of the original benchmarks (in addition to the one on the university), as well as the place where one used to be. 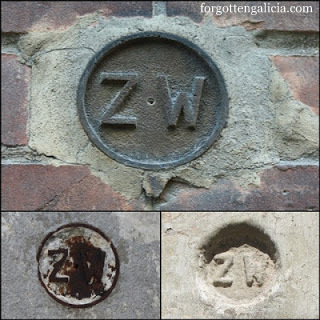 The next batch of benchmarks (or so I am guessing, and I am also guessing they were installed during Austrian times) are round and also have the initials “Z. W.” One is on the former Church of Our Lady of Perpetual Help, another is on a building that I believe was some sort of governmental building (as there is Lviv coat of arms on it), and the third one is on the old Lychakiv train station (built in 1906, rail line has been closed for decades). I walked by this next one thousands of times before I noticed — it is located right on the Lviv’s City Hall. 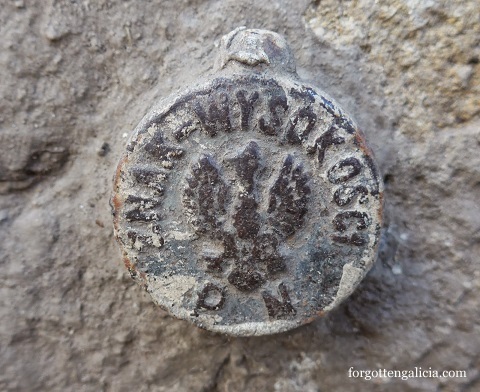 The benchmark reads “znak wysokości (Polish for “height marker”) and has an eagle (Poland’s coat of arms) and the letters “P. N.” It’s possible “P. N.” stands for “Polska Norma” (Polish Standard) or “Poprawka Normalna” (Normal Adjustment). 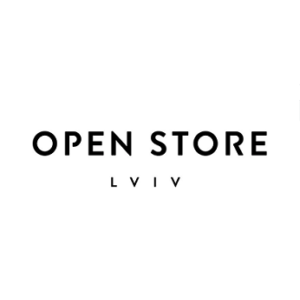 As it features the Polish coat of arms, it dates from the interwar period when Lviv was part of the Second Polish Republic. 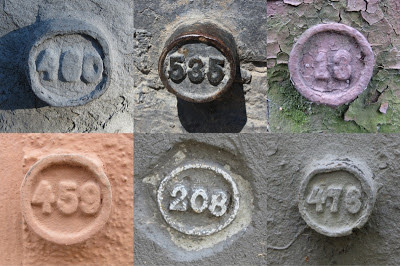 My guess is that the third batch of benchmarks was the small circular metal ones with numbers, which are still found on many on buildings in Lviv. 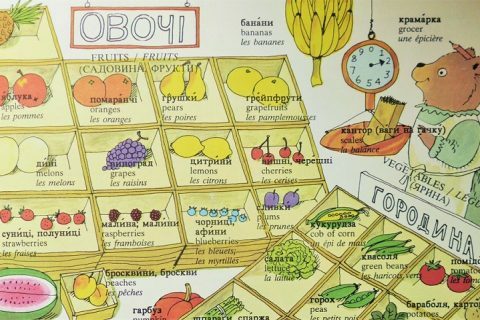 I beieve these were also from the pre-Soviet era. Then there are a few different kinds from the Soviet era. 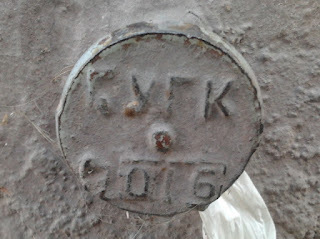 These generally have some sort of letters (abbreviations) and often numbers as well.